Back home safely after a fabulous weeked in Telford for the Stampin’ Up! OnStage Convention! The new 2019 – 2020 is fabulous. I think I might need a bank loan to get everything I like! LOL! 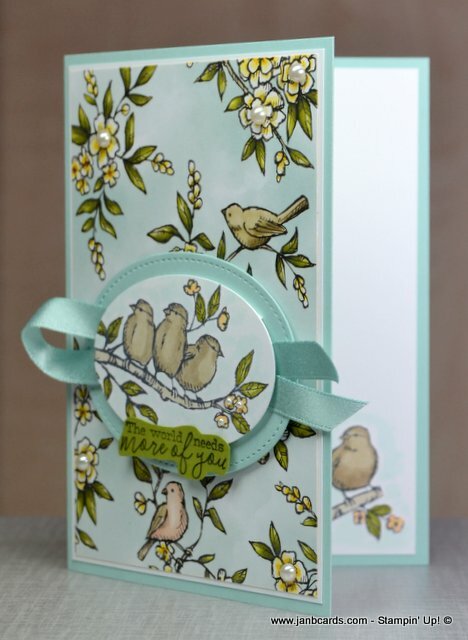 One set that is definitely on my list is the Free as a Bird Stamp Set, Bird Ballad Designer Series Paper, Bird Ballad Laser-Cut Cards & Tin (they are absolutely WOW! 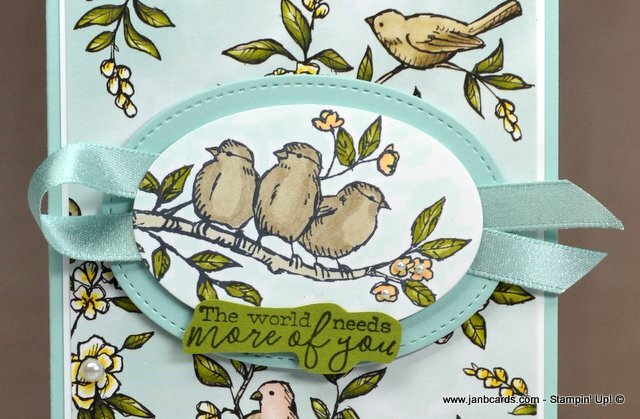 ), 3/8″ Scalloped Lace Trim, and the Bird Ballad Trinkets! The laser-cut cards are stunning. They are standard size Very Vanilla card bases, and the front half is a laser-cut design. 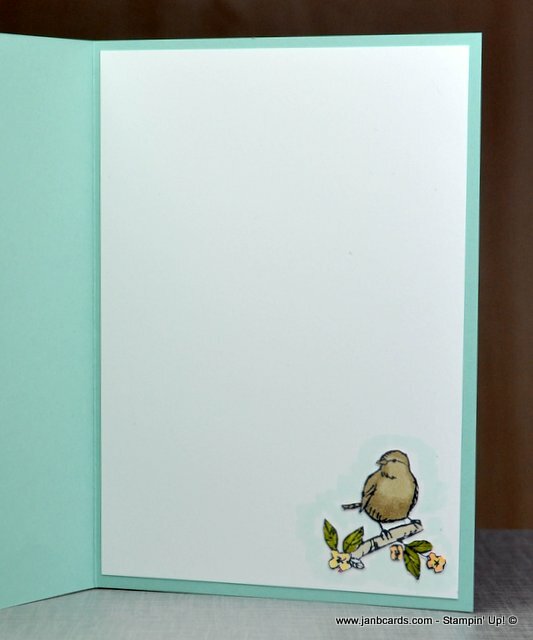 These cards can be decorated with coloured are plain cardstock, foil etc., behind the laser-cut, and/or you can add images, sentiments on top of (in front of) the laser-cut. 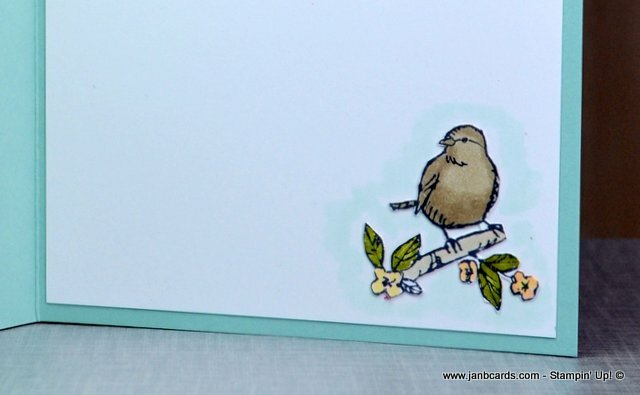 The card I’m sharing today is the card I made with the supplies we were given in our make-n-take pack, with my spin added! I have also shared a photograph of the card we were given to make. When we’re at OnStage, my team tend to do all the stamping for each project, and finish them off at home. The reason we do this is that we only get to see each other at Convention, so we have a lot to chat about. Doing it our way, we get the best of both worlds! I hope you’ve enjoyed my first real sneak peak from the new catalogue. 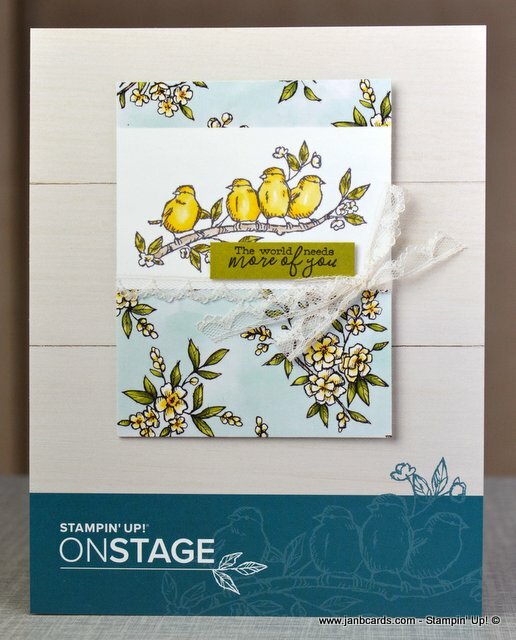 I’ll be making a video to share the new products I received at OnStage, as well as my swaps, so watch out for that! That’s about it from me today. I hope you have a marvellouse Monday, and until tomorrow, happy crafting. 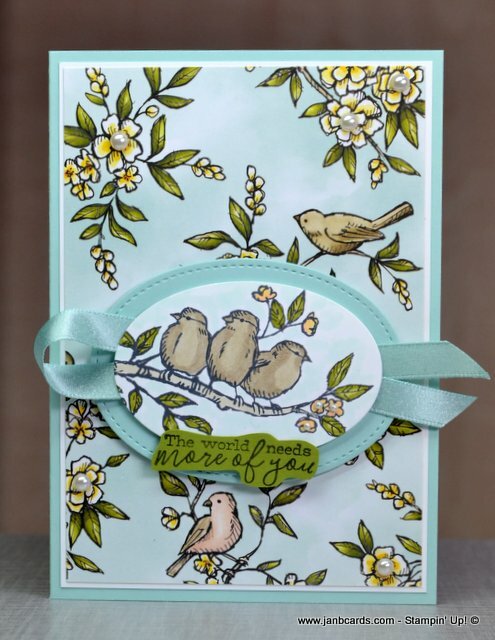 Love this New Stamp Set that will be out in June! It is just beautiful!